How Would A Lower BAC Limit Affect Boca Raton Car Crash Cases? 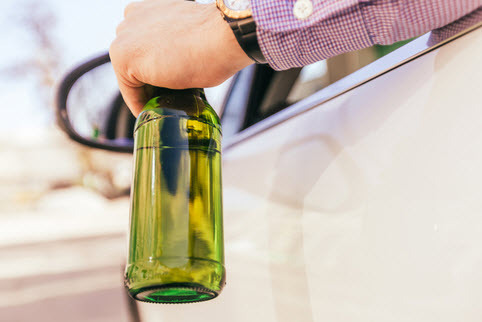 The National Academies of Sciences, Engineering and Medicine recently recommended that states drop their Blood Alcohol Content requirement in DUI cases from the current .08 to .05. Panelists made a number of other suggestions as well, such as doubling the alcohol tax and tougher enforcement of existing laws. As for the lower BAC limit, when the limit changed from .10 to .08 in the 1980s and 1990s, the number of alcohol-related collisions went down significantly. The panel hopes that another such move would achieve similar results and reverse a trend of increasing drunk driving fatalities. Moreover, the panel observed, many European countries already have a .05 threshold, a move that cut the number of alcohol-related crash deaths in half. Safety Law Infraction: This violation could be almost anything, from a criminal violation like DUI to a traffic ticket to a municipal law violation (g. a faulty elevator shaft or unsafe scaffolding). The more serious the legal violation, the more powerful the presumption of negligence. Protected Class: The victim must be among the people that the law was designed to protect. DUI laws are designed to protect not only other motorists, but also bicycle riders, pedestrians, motorcycle riders, and anyone else on or near the road. The negligence per se shortcut may still apply even if the tortfeasor (negligent driver) gets off on a technicality or pleads guilty to a lesser offense. A civil jury decides all the facts in a civil case, including the tortfeasor’s intoxication level. A lower BAC threshold also increases the potential for additional punitive damages. As a very general rule of thumb, these additional damages are available if the tortfeasor’s BAC was at least three times the legal limit. Under current law, that’s .24, but under the proposed lower threshold, that’s .15. Punitive damages are available if there is clear and convincing evidence that the tortfeasor callously disregarded a known risk. This money is in addition to compensatory damages for medical bills and other economic losses, as well as pain and suffering and other noneconomic losses. Florida’s dram shop law holds commercial alcohol providers responsible for damages if their intoxicated patrons negligently injure someone else. If the tortfeasor was under 21, the provider is usually strictly liable for damages; if the tortfeasor was over 21, there is an additional requirement. This additional requirement is that the provider knew the tortfeasor was habitually addicted to alcohol. Habitual addiction would be easier to prove with a lower BAC threshold. Under current law, if prior credit card receipts show that the tortfeasor bought one drink, the evidence may be insufficient on this point. But with a .05 threshold, such evidence could be damning. Furthermore, increasing the drinking age would be the next logical step in combating alcohol roadway fatalities. So, in a few more years, the age 21 strict liability line could possibly move to age 23 or 25. Alcohol-related car crash victims have several legal options. For a free consultation with an experienced personal injury lawyer in Boca Raton, contact the Leifer Law Firm today, because you have a limited amount of time to act.